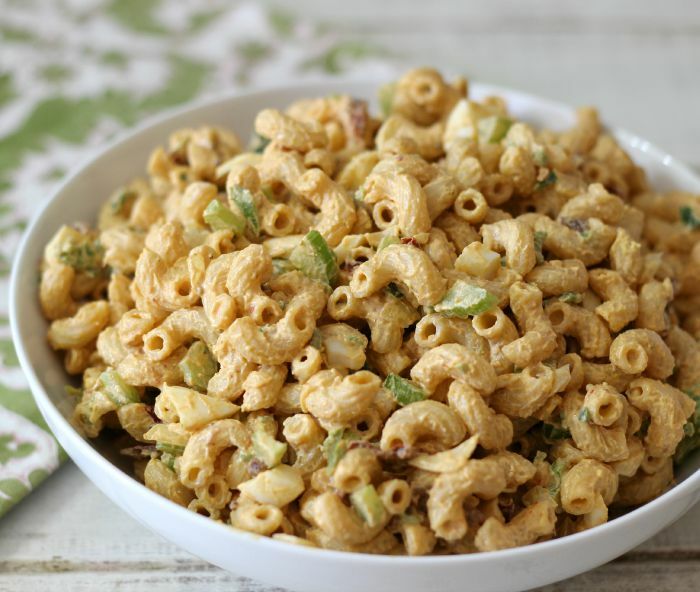 I just love a good macaroni salad! I always make the traditional macaroni salad, but today I thought I would change it up and make something that screams Jennifer! So I took one of my favorite flavors; chipotle and added it to my salad. 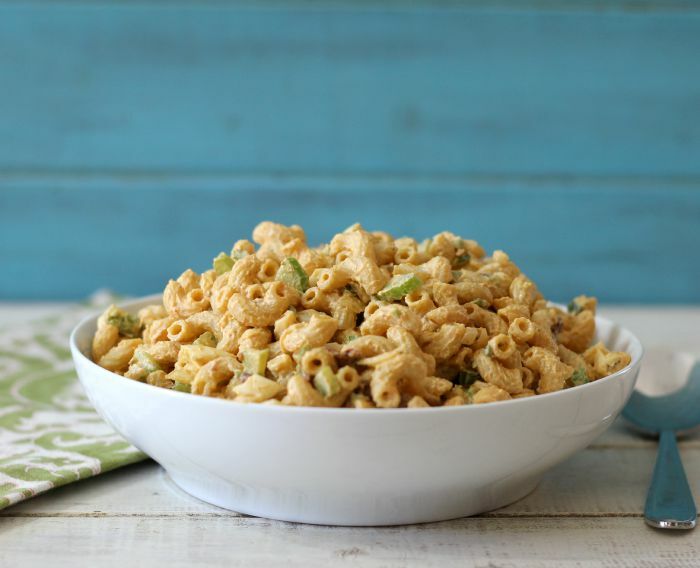 I also love to eat macaroni salad, so I also lightened it up to make it guilt-free, well as guilt-free as I can make it without losing the flavor. The salad is creamy, little crunchy and has an amazing smoky flavor. I relaxed a little bit on the heat, since I tend to over do it when it comes to chipotle. I can’t feel the burn when I eat it, but apparently everyone else does. To lightened up the salad, I used Fage plain Greek Yogurt and a little bit of mayonnaise. I also cut back on adding the hard-boiled egg yolks to the salad. I used 3 hard-boiled eggs and 2 egg whites. You don’t even know it is missing. The salad makes a lot. I got about 12 heaping cups of it. I don’t think that is too shabby and perfect for a weekend BBQ. 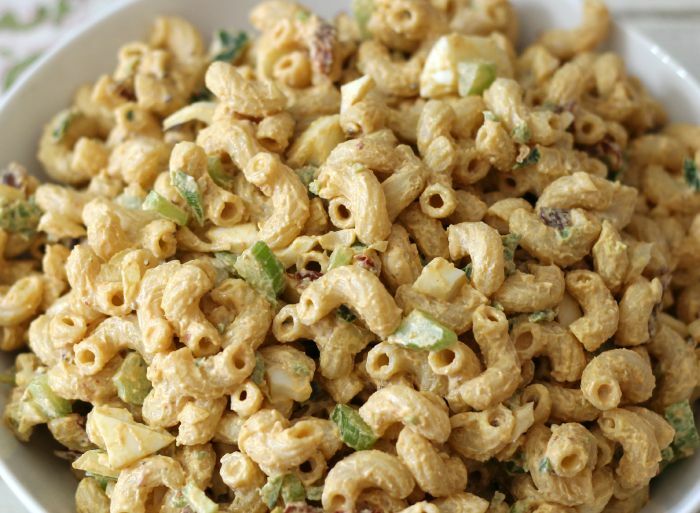 If you love macaroni salad, but love a little change, try the greek yogurt and chipotle flavor. Oh and trust me, know one will notice you used yogurt!! 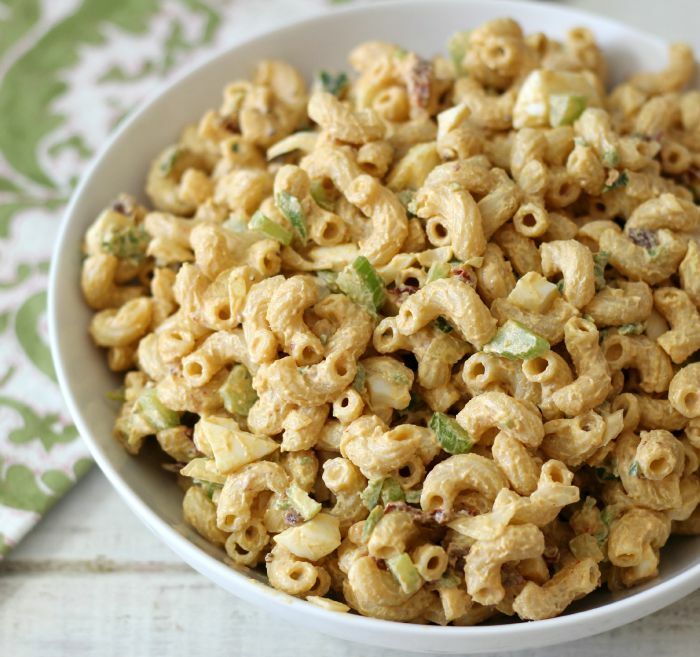 A smoky, slightly spicy macaroni salad made with chipotle peppers and poblano peppers. The salad has been lightened up by using Greek Yogurt and a little Mayonnaise. Cook pasta according to directions on package. Once cooked; drain the pasta and place in a large bowl until cooled. Meanwhile, cook the eggs. Add eggs into a pot and just cover with water. Bring to a boil; cover and simmer for 15 minutes. Run cold water into the eggs to stop the cooking. Set a side. In the bowl with the pasta, add onions, celery and poblano peppers. In a medium bowl, add greek yogurt, mayonnaise, chipotle peppers, chipotle sauce, dijon mustard, smoked paprika, salt and pepper. Mix until thoroughly combined. Pour into pasta and vegetable mixture and mix until well combined. Peel the hard boiled eggs. Chop 3 of the eggs and place into pasta. Take just the egg whites from remaining two eggs and chop fine. Add into the pasta. Mix well. (To cut calories I only used 3 egg yolks in the recipe. Feel free to add the remaining 2 yolks). Taste test the pasta salad to see if you need to add any additional salt, pepper or chipotle in adobo sauce. Cover and refrigerate before serving. I think it is always fun to change-up recipes. You can take one of your favorites and change out the ingredients. 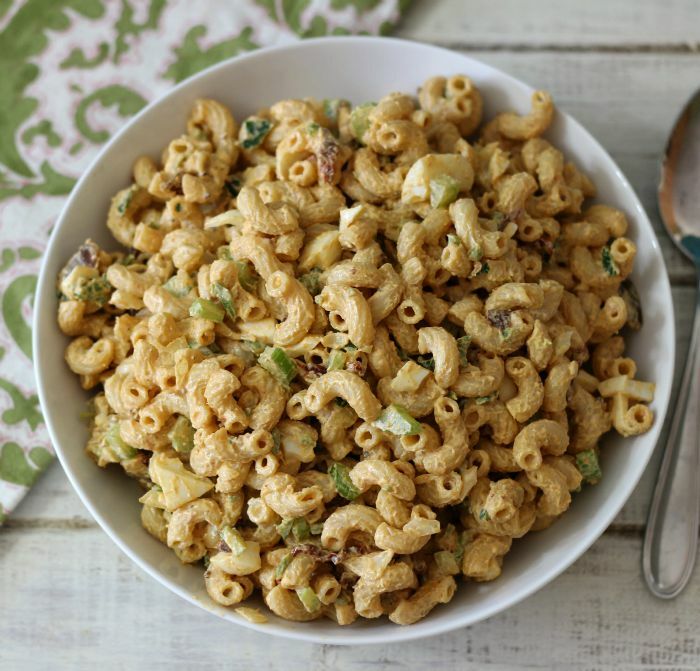 Macaroni salad is truly one of my favorite indulgences, but I don’t feel bad with this one because of all the protein and it’s pretty low in carbs for pasta. Oh, I almost forgot. I used Barilla Protein Elbow Noodles. 10 grams of prtoein per serving! Here is the Instagram photo of the box.